With summer produce in full swing, now is the time to start preserving the harvest. One of my staples is kimchi. 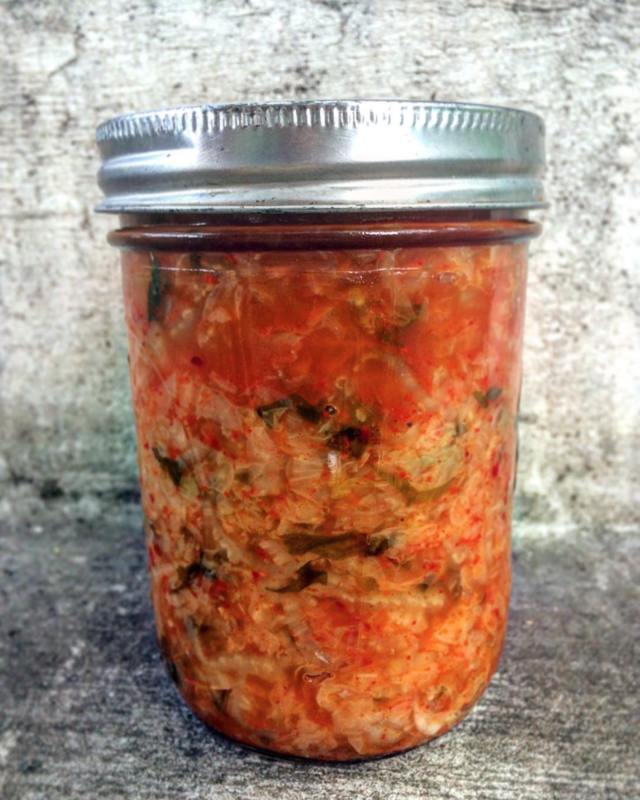 Many people are surprised to learn that fermenting kimchi from scratch is really easy. 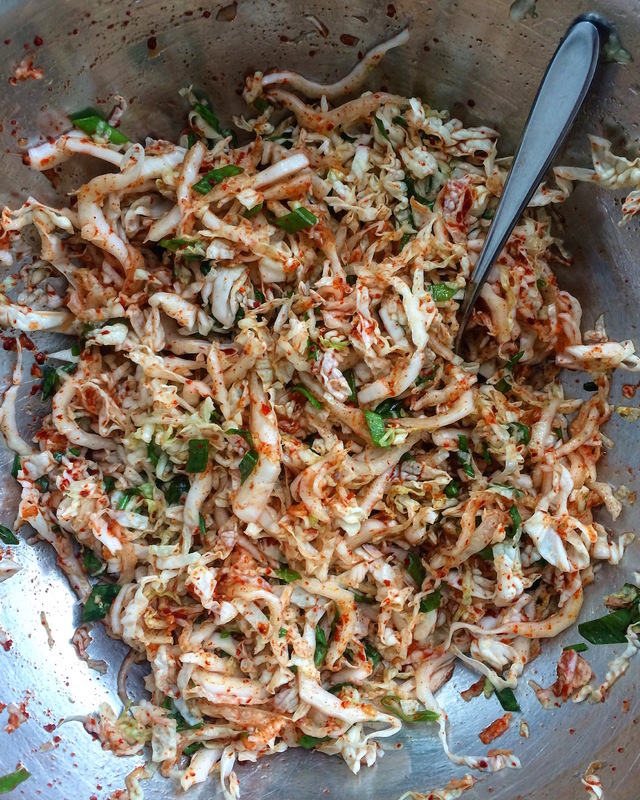 If you can make coleslaw, you can make kimchi. The process is simple – shred all the veggies, season them, pack them into a jar and let it all ferment for a week on the countertop. 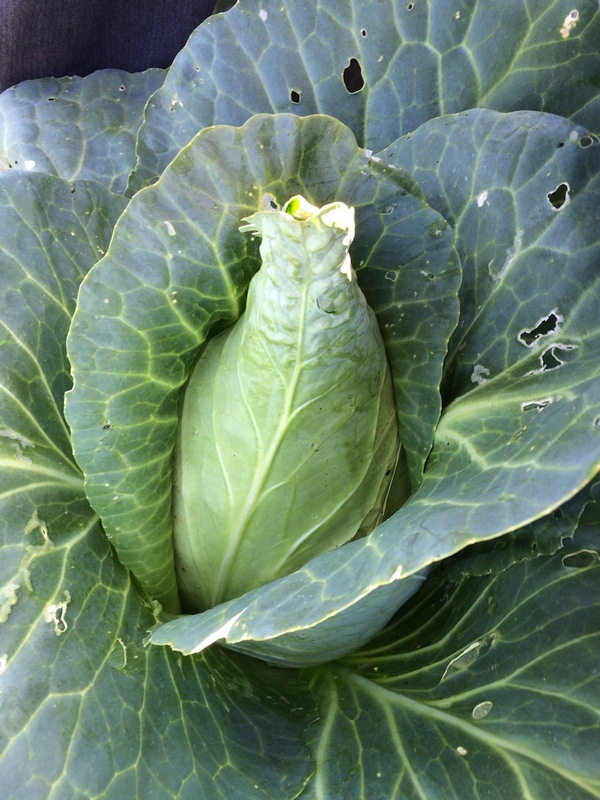 Cabbage, green onions and garlic can usually be found a the farmers market (or your garden) and the rest of the ingredients at a regular grocery store, with the exception of Gochugaru. Korean red hot chili pepper flakes are a unique ingredient that is easily obtained at an Asian grocery store or online (see below). My co-op even has it in their spice section. I’ve tried using regular chili flakes and while good in a pinch, I don’t think they have the same flavor as Gochugaru. Like sauerkraut, kimchi can be used as a condiment on cooked meats or tofu, but it’s also wonderful tossed into cooked vegetables, stirred into rich and brothy soups, noodles or rice to give the dish a boost of acid, spice and umami. So get yourself some Gochugaru and get shredding!